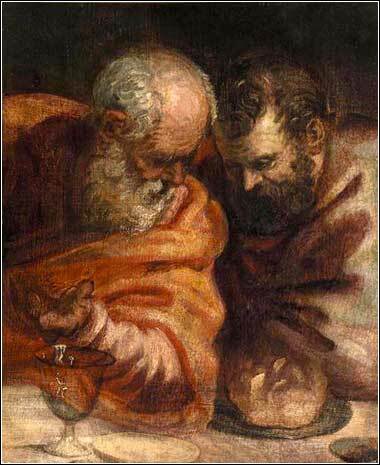 Two Apostles by Tintoretto (Jacopo Comin) ca. 1570. 9 As we have said before, and now again I say, if someone you evangelizes with different from what you received, he jOr it. is anathema kAnathema, oddly, is a perfect transliteration of the Greek word used here and in v. 10. It means to be the object of God’s disfavor. Paul comes as close as possible to saying “damned” without foregoing the possibility of repentance. 10 For now men am I persuading lOr seeking approval of. The translation “trying to persuade” is grammatically more correct and better-attested, and I think it is accurate. But centuries of translation have set “seeking approval” in stone for most translations. Of published authorities, only BDAG questions the traditional interpretation. or god? Or I am seeking to men to please? If still to men I was pleasing, of Christ servant not I was being. There is no compromise in the Bible. God is an absolute; He is not going to change depending upon the thoughts of human beings. Reading this, we can make a distinction between Paul, the apostle of Christ, and the false apostles who have infiltrated the Galatian churches. Paul certainly wants to grow the church of Christ, but his first principle is that the church must be pure and in complete acceptance of the Word of God. He will not compromise the Gospel, no matter how few the people who believe. 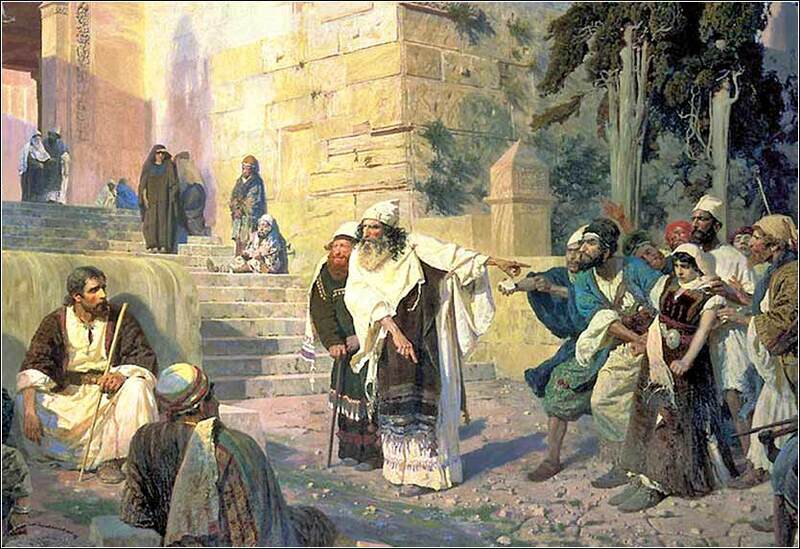 The false apostles' first principle, on the other hand, is acceptance. If they can say something that will increase the size of the church, they will modify their message. We can infer that this is what has happened in Galatia from the arguments and statements Paul makes. We are not sure of exactly which aspect of the Gospel these false apostles have compromised; apparently, the particulars are not as important as a clear and unflinching statement of the principle. As the epistle continues, however, we might infer from some of Paul's specific statements of doctrine that this is the area in which the churches have been compromised and undermined. But to say it again, Paul could not be any clearer. “I could not call myself a servant of Christ,” he says, if he compromised God's truth in order to please his listeners. The modern world is no different. A servant of Christ will accept His Word, whether they like it or not. A minister — priest, bishop, pastor, deacon, or whatever title by which they are called — who preaches variance from the Bible is not a servant of Christ, and by telling people what they want to hear instead of the truth, he is not doing his congregation a favor. Pandering to the secular opinions of church members has, unfortunately, become the rule rather than the exception in many (if not most) churches. So we must examine our own beliefs, testing them against the Gospel (1 Thess. 5:21); and if our beliefs and the Gospel differ, it is our beliefs that we must understand to be in error.